detailed world-building and a fierce, unshakeable friendship. 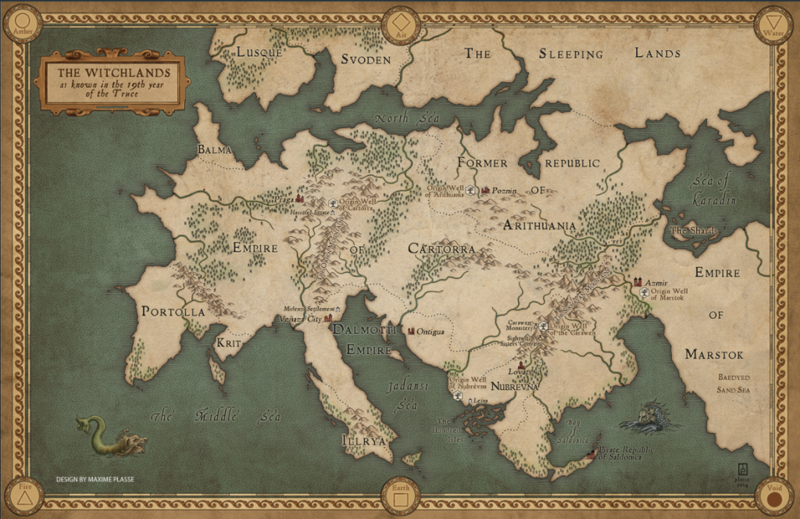 The biggest thing on Safi and Iseult’s minds is saving money for their planned future in the Hundred Isles. Iseult, a Threadwitch, can see the emotional Threads binding the world. Safi, on the other hand, is a Truthwitch-she always knows when a person is telling a lie. A powerful magic like that is something people would kill to have on their side-or to keep off their enemy’s side-and so Safi cannot even admit what she truly is. With the help of the cunning Prince Merik (a Windwitch and a ship’s captain) and the hindrance of a Bloodwitch bent on revenge, the friends must rise above their doubts and fight to learn who they are and what they are made of, if they are going to stay alive and preserve the balance of their world. 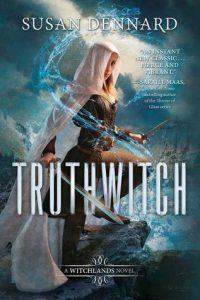 Author Susan Dennard delivers an exhilarating series starter with Truthwitch, the first book in the YA fantasy series, Witchlands. It’s a tale rife with magic, action, conflict and political intrigue, but at it’s core, it’s a story of unshakeable friendship. Two girls, Safiya and Iseult, are on the run after some disastrous dealings. Fueled by the notion of freedom and comforted by their unfailing friendship, together they feel they can outrun anyone, conquer anything. Safi is a Truthwitch—one born with the ability to discern truth from falsehood—and thus a highly coveted witch. She must keep her ability a secret lest she be used as a pawn. Iseult, a Nomatsi Threadwitch, perceives the threads of and between people—the threads that reveal anger or fear, love and hate. Iseult’s cool demeanor, however, is a salve for Safi’s act-first-think-later recklessness. They’ve been through much together already, and this seems to be another fiasco from which to cunningly evade. But trouble really begins when a Bloodwitch pursues them. With the ability to sense and control their blood, their magic, this dangerous mercenary can track Safi and Iseult anywhere. And that’s exactly what Aeduan, the Bloodwitch, does. Complicated gets more complicated, however, when Safi finds herself in the center of unexpected political machinations. 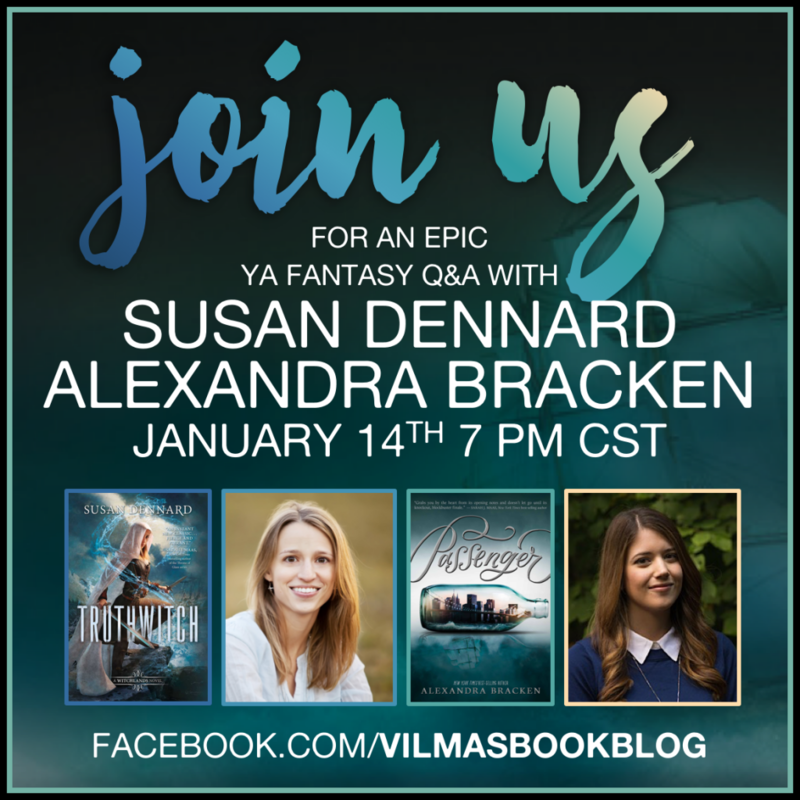 Racing for their lives, they find themselves aboard a ship helmed by a prince, a Windwitch, who is desperate to improve the lives of his people. Their adventure intensifies as Safi, Iseult, Aeduan, Merik and a host of other characters collide in ways they never imagined. Dennard thrusts the reader into a highly detailed world ruled by three empires whose hostility is barely curbed by an already fraying truce. Admittedly, in the beginning I struggled to get my bearings in a world I didn’t comprehend, but once things came together for me, the pace and excitement picked up and I couldn’t stop reading. The blossoming romance and angst was exciting to experience, especially amidst this vibrantly imagined world. Witty dialogue, non-stop action and intriguing characters make this an exciting fantastical adventure.